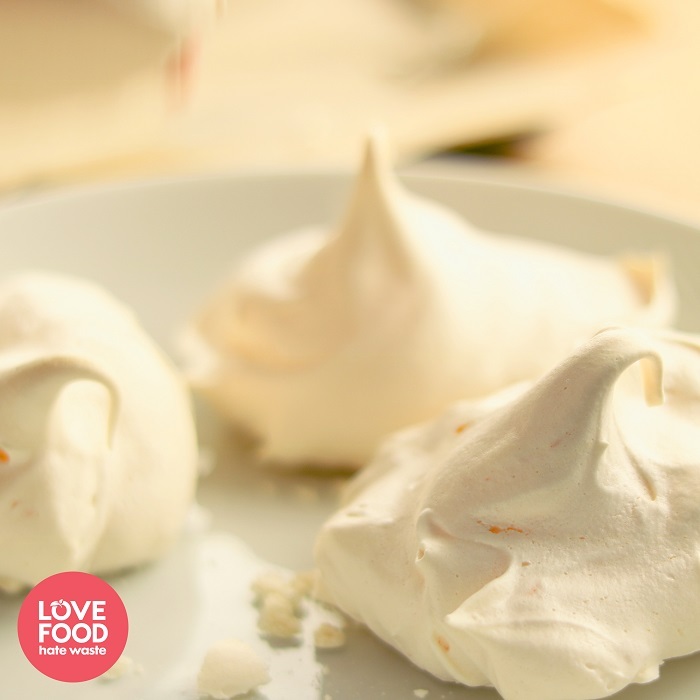 Meringues might sound scary, but they’re actually incredibly simple. Using only two ingredients, you can create these cloud-like confections in less than an hour! And don’t waste those yolks – they can be turned into custard, hollandaise, or added to your scrambled egg mix to make it even more silky. Preheat the oven to 150C. Line a baking sheet with grease-proof paper. In a large mixing bowl, whisk the egg whites on a low setting with an electric whisk for a couple of minutes, until they are bubbly. Turn the whisk up to medium and continue to mix for a minute, then turn up to high and whisk until they form stiff peaks. To test them, simply lift the beaters out of the mixing bowl (turn them off first!) and check to see if the mixture flops or not. It should hold its shape without drooping at the end. Once you’ve reached the stiff peak stage, start to add the caster sugar a tablespoon at a time, whisking continuously on high. The mixture will start to thicken. Continue until all the sugar is combined, and the mixture is stiff with a glossy texture. Spoon out the mixture onto the pre-lined baking sheet in individually-sized portions, about a heaped tablespoon each. Depending on the size of your tray, you might have to bake the meringues in two batches. TIP: If you find the paper slipping, use a little dab of the meringue mixture under each corner to help it stick to the baking tray. Put the meringues in the pre-heated oven, and immediately turn the heat down to 140C. Bake for around 30-40 minutes, or until the meringues are just starting to colour on top. Every oven is different, so it’s best to just keep a close eye on them to prevent burning. Turn off the oven and leave them in there to cool for about 10-15 minutes, then transfer to a wire rack. Top with cream and fruit, crumble over ice cream, or drizzle with melted chocolate – the possibilities are endless! If you ever find yourself with a few cooked cocktail sausages lurking in your fridge, give them a makeover with this sticky sauce. The kid’s will love you for them!